Academy Award nominated actress Keira Knightley has revealed that for the past five years she has been wearing wigs after experiencing hair loss. Her hair started falling out from what she believes is over-dyeing after changing her look up for various film roles. In addition to her acting, Keira worked as the face of Chanel cosmetics and one of the luxury brand’s perfumes, so, in order to maintain her appearance, the Pirates of the Caribbean star turned to wigs for a quick cover-up. 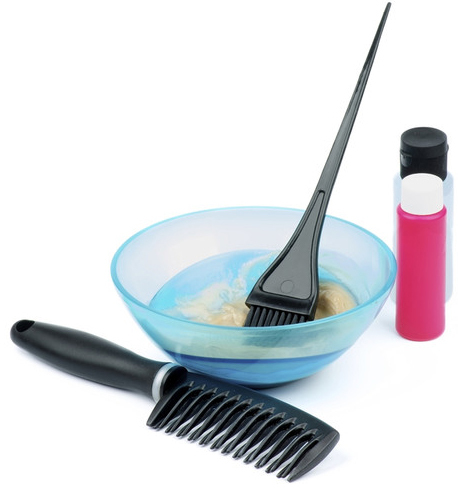 Most permanent colourants designed to lighten the hair contain a powerful bleaching chemical called hydrogen peroxide. 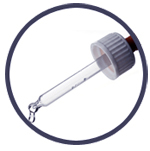 This breaks down melanin in the hair shaft in order to make the hair lighter, and when used frequently can weaken the hair, leading to severe damage even though the type found in hair colourants is heavily diluted – usually around 97% water, 3% peroxide. 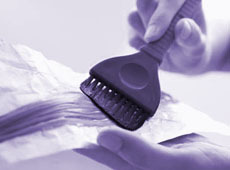 Using chemical hair dyes too often or leaving them on for too long, especially when lightening the hair, can cause a range of problems from basic hair breakage – where the chemically-weakened strands snap off along the shaft leaving it frizzy and thin – to more severe cases which can leave bald patches. This kind of styling damage from chemical dyes can typically cause hair loss in the form of Chronic Telogen Effluvium, which displays as all-over shedding and thinning hair. It is temporary, generally lasting no more than six months, however, in women with a genetic predisposition to hereditary hair loss, this can trigger or exacerbate the permanent condition female pattern hair loss. Using dyes containing peroxide continuously could also damage your hair follicle; this is more serious and – though rare – in some cases has led to patches of baldness or even total hair loss. If you colour your hair regularly, try to keep your hair in the best possible condition by using regular intensive conditioning masques and ensuring you keep the temperature down on heat-styling tools including hairdryers. You can also ensure your hair gets the necessary nutrients for strong and healthy hair growth by eating a balanced diet featuring the various vitamins and minerals that benefit hair health, or by taking highly targeted daily nutritional supplements such Belgravia’s Hair Vitalics. Should you find your hair in any way dulled or damaged after dyeing, stop colouring your hair at least until it is back in optimum condition. If you have used a home-dye, seek a professional consultation with a good hairdresser who can explain the best and least harmful colouring processes for your hair – organic options may be less harmful, for example. Intensive conditioning sessions and a haircut to get rid of split ends and breakage can often deal with basic damage. If you are concerned about more severe issues such as thinning hair or bald patches from bleaching or over-dyeing your hair, seek expert help from a hair loss specialist immediately. Whilst most temporary conditions will correct themselves in up to six months’ time, a specialist will be able to provide you with a professional diagnosis and plan of action, including a personalised treatment course to accelerate the regrowth process. They will also be able to tell if you have more than one hair loss condition as genetic thinning and hair fall caused by over-dyeing can be present simultaneously, leading to an overall increase in shedding. If wearing a wig isn’t for you – bespoke lace front wigs like those worn by Keira cost in the region of £2,000 + maintenance and, depending on how they are fixed to the scalp, wigs can lead to their own hair loss issues – Belgravia offers a range of women’s hair loss treatment courses, featuring clinically-proven components, that can be tailored to each individual’s precise needs to get the hair back to its best.